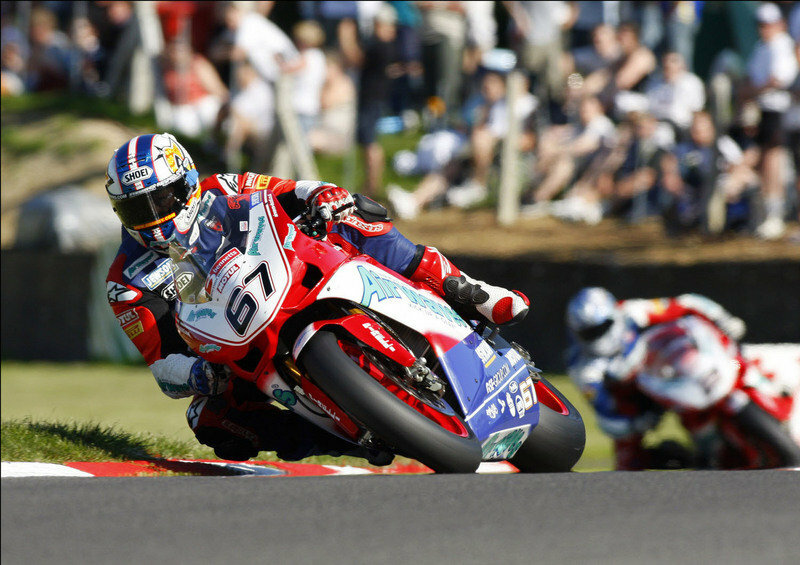 Fans will probably be missing one of the most popular teams in the World Superbike Championships for 2011. This came about as Ducati announced last August 27th that they would not be fielding a factory team for next season’s races. According to the statement released by Ducati, the reason they are pulling out of the superbike championships is because they want to focus more on technology development for their products. They also added that, in order to further develop the latest iteration of Ducati’s bikes, they will have to pull out the resources used to manage the factory team and divert them to the company’s research and development department. In the statement, Ducati President Gabriele Del Torchio also thanked riders Noriyuki Haga and Michel Fabrizio for their participation in the team. Both Haga and Fabrizio had been with the team for almost two years. However, according to some Superbike observers, there are still several other reasons for the Italian motorcycle maker’s pullout from the competition. With the occasion of Max Biaggi’s double win at the Monza WSBK round in Italy, Aprilia took the wraps off their all-new racing replica RSV4 superbike. The bike is destined for the racing track and can be used as an entry-level WSBK race machine as it offers a heck more performance over the production street version and also meets FIM regulations. Claiming 200bhp and 92lb/ft of torque (that’s an impressive 20bhp and 7.4lb/ft over the production RSV4) from the 65-degree V4 motor, Aprilia sure seems to have done their homework when creating this proper Ducati Desmosedici RR competitor. But it is the ingenious stuff that makes the difference and in the case of the RSV4 Max Biaggi Replica this consists into: a six gear transmission with a multi-disk oil bath clutch with a mechanical anti-skipping system, ride-by-wire throttle control system, QuickShift assisted shifting, an Akrapovich 4-2-1 titanium exhaust and carbon fiber fairing. All in all, the bike weighs in at 385.8 lbs (dry), which is definitely an achievement over the standard version’s 405.6 lbs. Still, we also have to mention the Ohlins suspension, Brembo brakes and Marchesini forged magnesium alloy wheels before hitting you with the price - 50,000 euros (US$64,142). The clearly exclusive bike is available in Biaggi’s Alitalia Aprilia livery or bare carbon. Chris Vermeulen, who has recently underwent keyhole surgery has just started walking again and he’s already riding his trial bike in an attempt to recover his knee faster for the Assen race. Meanwhile, he’ll skip this weekend’s WSBK round in Valencia, so the video is more of a way to keep fans posted about his evolution. 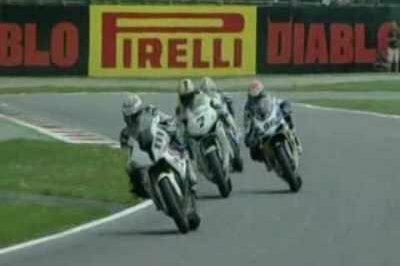 Yamaha Motor USA has found a rather funny way to promote the Ben Spies and Colin Edwards team for the 2010 World Superbike Championship. Their latest video shows the two take on a road trip in Texas to bond before the new season. Just check it out. With only two weeks left until the start of the first race in the 2010 World Superbike calendar, at Phillip Island in Australia, SBK organizers have released a 25-minute long preview of the 23rd season of the championship, which is expected to be one of the most spectacular so far. Enjoy! 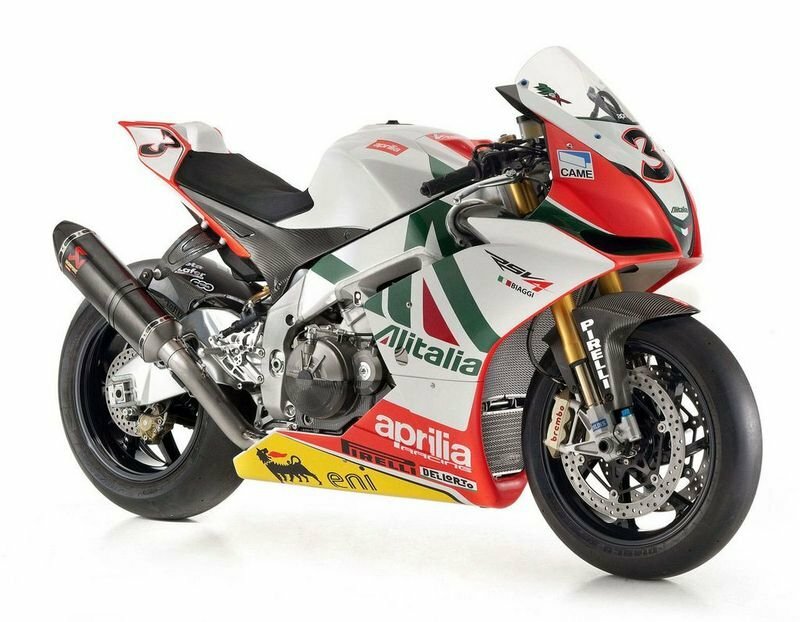 Aprilia has just revealed their 2010 WSBK RSV4 motorcycle, which gets the Alitalia livery. Sponsored by the Italian airline company and with the riding skills of Max Biaggi and Leon Camier, Aprilia team hopes for a great racing season. 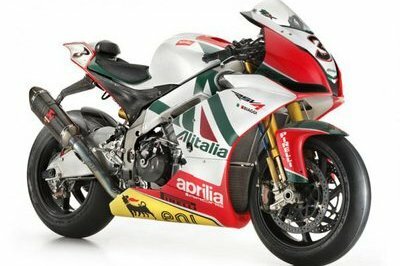 As much as we’d like the absolutely superb tricolore paint scheme, all we will think about right after repositioning our jaws is that V4 engine capable to power the Italian superbike up to speeds in excess of 200 mph. As you all know, during GPs it’s not only the motorcycles, pilots and the teams behind them that put an awesome show together. At the paddocks, events such as the Ducati Fashion Show, which is supposed to present Ducati clothing, attract as many privileged and hungry eyes as do the races themselves. Here you have the best of the 2009 Ducati Fashion Show from both MotoGP and WSBK. Enjoy the photo gallery! Ben Spies has had a great season with Yamaha and after setting one lap record after another, he is currently the leader of the SBK Championship. 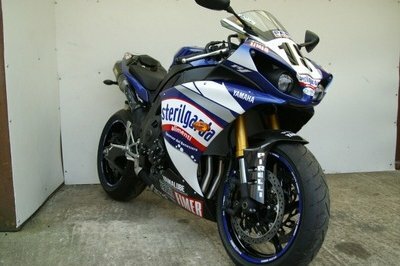 To honor that, CMC – a Yamaha dealer in UK – has created a Ben Spies replica R1 painted in the racing bike’s colours. The engine now breaths out through an Akrapovic exhaust system, which should also add a few horses although they don’t mention a precise number. Speaking of numbers, the bike costs £12,499 ($20,225). 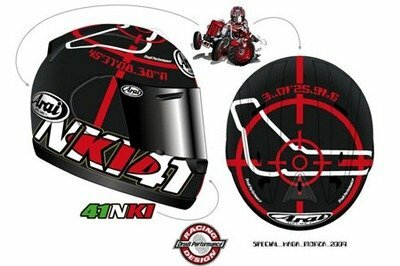 Arai has started to take orders for the barely released Haga Monza replica RX-7 GP helmets. A number of 200 units of the Drudi Performance design helmets will be made and they’re sure few, considering that Noriyuki Haga worn this model during the fifth round of the 2009 Superbike World championship earlier this month. Haga came in second in the first race, but bad luck struck in the second race when the pilot hit a bird and crashed shortly after. Exceeding both ECE 22.05 and the upcoming Snell M2010 standards, Arai’s RX-7 GP is one of the safest helmets out there and the shell is made of structural net composite (SNC). 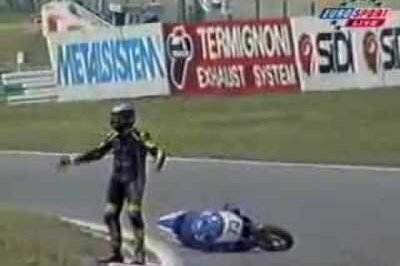 During the Nürburgring race of the 1999 Superbike World Champion Season, a leaking Kawasaki goes out of competition, leaving the track filled with oil precisely on a braking area of the track. Marshals don’t stop the race to clean up the mess and racers fall one after the other during the folowing eight laps. Colin Edwars goes mad of anger and starts throughing debris back on the track as well as giving organizors the finger. A Ducati dealer in France was inspired by the Australian World Superbike Championship to create a limited edition Monster Bayliss Replica. 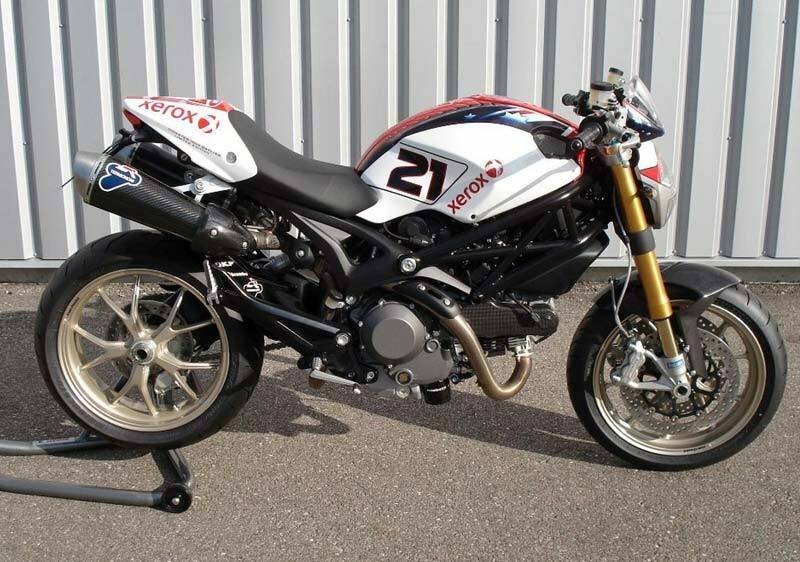 Apart from the special paintjob, features such as the Termignoni carbon silencers and the multitude of carbon fiber units are there to enhance the racy look of the still naked bike. The price rises to as much as 15,900 euros or $20,600 because exclusivity always comes at a high price. Aprilia has just presented the final graphic version of their RSV4 superbike that will debut in the World Superbike Championship this weekend. 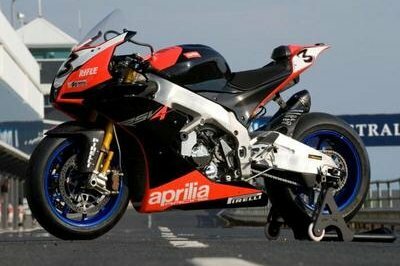 As seen, Aprilia makes an entry on the WSBK scene without the help of a main sponsor so the fairing displays the traditional colors of the Italian company, the most visible logos being RSV4 and Aprilia. Recent test have shown that the new Italian V4 is capable of great performances and with the help of Shinya Nakano and Max Biaggi, the Noale house aims towards as much presences on the podium as possible. 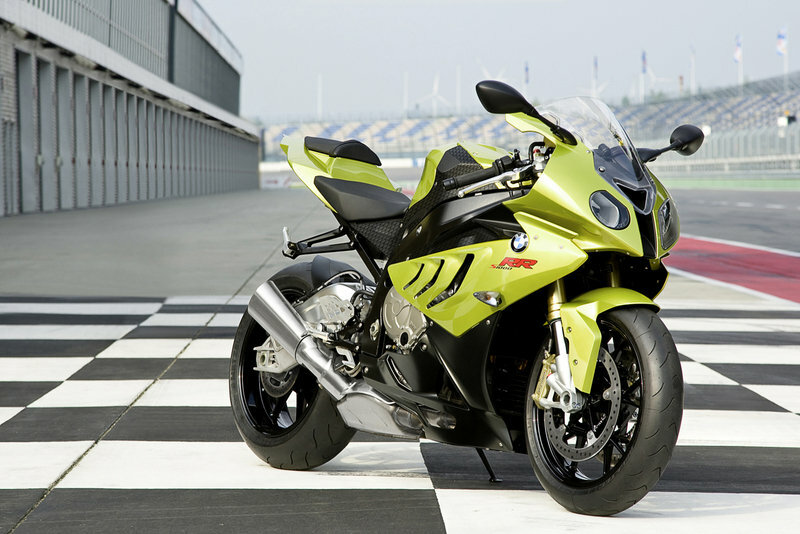 In expectancy of the 2009 Superbike World Championship, BMW Motorrad creates a video promoting their all-new S1000RR motorcycle in both of its forms, street and racing. Riders behind those dark visors are Troy Corser and Reuben Xaus so watch them take this machine to the limit now and during the upcoming race season.